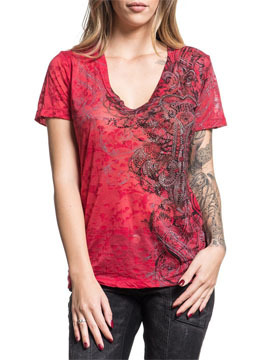 Sinful Sweetwater womens short sleeve v-neck t-shirt features the Sinful logo with fleur-de-lis, hearts, cross and ornate filigree printed on one side and accented with rhinestones on the chest. The fleur-de-lis, hearts, cross and ornate filigree design wraps around on the back. Skull burnout pattern all over the front and back in the background. 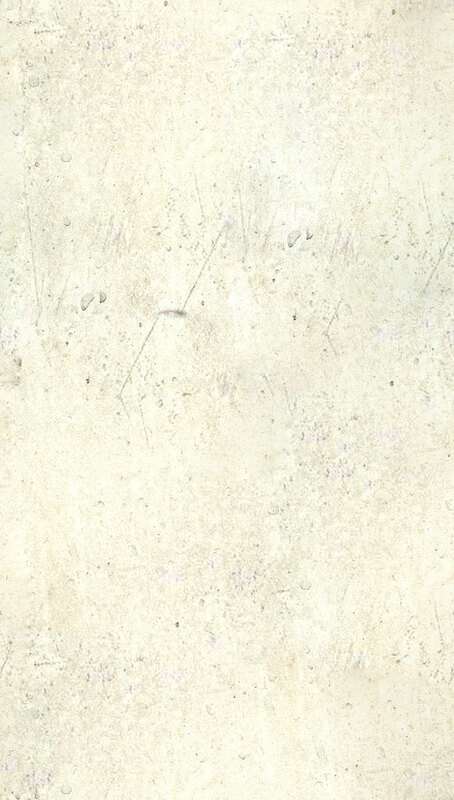 The burnout wash creates a soft and semi-translucent effect. Lava wash for vintage look. 50% cotton 50% polyester. Lightweight, slim fit, raw seams. Garment dyed with silicon wash for soft feel. Color: sangria red.